Good article Nadeem. 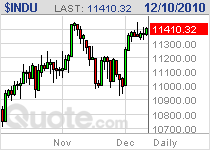 I agree with your investment advice regarding playing the Russian market. I do not even follow the Russian market or economy due to the obvious corruption and lack of transparency. You have to be a very high roller to mess with it. 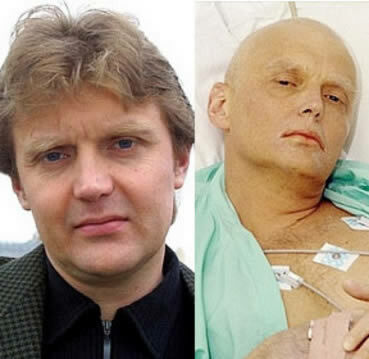 I’ve had Litvinenko’s book “Blowing Up Russia” for a couple of years now but have not had a chance to read it. Your article has reminded me to get to it! I’d like to add four points that were missing from your article. The first is my own opinion while I consider the remaining three to be factual. 2)	I find it hilarious that the US Embassy refers to Russia a virtual mafia state when the U.S. is not much different. Perhaps the only real difference is that the US has disguised its mafia control much better than has Russia. 3)	Of course Russia’s Liberal Democratic Party was created by the KGB. Gorbachev is now forming a democratic party of his own. Why? Because these Russian oligarchs finally realized that the illusion of a democracy as seen in the US represents the ultimate vice of control, providing much more control than communism. Unlike communism, whereby the people realize that they own nothing, democracy, as redefined by America’s fascist government fools the people into thinking they have property rights, free speech and other freedoms. As a result, they will not combat the power that governs them because they have been fooled to believe they have a true democracy. This remains the real problem faced by America because most of the people have no idea how they have been fooled. As a result, they look for solutions from the 2-party mafia in Washington, all while failing to realize that regardless who is in office, the results remain the same. 4)	The Russian Mafia is actually the Jewish mafia. Perhaps you knew this but did not want to mention it. The “Russian (Jewish) mafia” extends into the US and much of the Western world. You might want to read “Red Mafiya: How the Russian Mafia has Invaded America.” Robert Friedman. Also, great way to end the article. "So I will leave to those that don't trade to continue calling for for the end of the stocks bull market all the way into the Mid Jan 2011 peak, with the final fifth wave garbage, perhaps another hindenberg crash omen to be conjured out of the hat AFTER stocks have fallen." you have been lucky on your stock market call, nothing more. If you were any good then you would be selling your forecasts. In lieu of paying me a subscription fee, feel free to donate $100 per month to a deserving charity. I receive dozens of requests per month for a subs service, I pointed out the reasons why I will never run one in March 2009 - 15 Mar 2009 - Stealth Bull Market Follows Stocks Bear Market Bottom at Dow 6,470. Nothing has changed since. However if I ever start to consistently lose money trading & investing, then you will be at the top of my list to contact with regards a subs fee, though touch wood that has not been so for 25 years now, though the occasional bad year has nearly tipped me towards that dark side ! LOL, you just can't win Nadeem. If you were selling your forecasts, some dejected loser would be telling you the only people who sell forecasts are those who can't make money from trading them. Instead you get one complaining because you don't charge. I enjoy reading your detailed analysis, so thank you. Hope all is well on walayatstreet and everyone enjoying the seasonal festivities. Would like to know your perspective on the musings made in the link below, and particularly if your view on the (did you infer slight?) risk of hyperinflation hitting the UK has shifted at all from when last stated. Your work is tremendous, cuts through so much BS, consistently more right than wrong. Who can argue? Its fact, and long may that continue. Isn't it ironic how some question you because it's free! Absolutely proves a point that as humans we have become masters in the art of over thinking, over analysing, over complicating near every situation. James is playing pick and mix, it is VERY EASY to make a case for EITHER deflation or hyperinflation, much harder to weigh all to arrive at the most probable outcome. The biggest point that stands out is the fact that James does not realise that the austerity and deficit reduction measures have YET to bite. Hyperinflation is a panic event, it cannot be forecast and I do not see it for the UK during the next 12 months, ask me again in 12 months to see if we are still some way from hyperinflation or not.